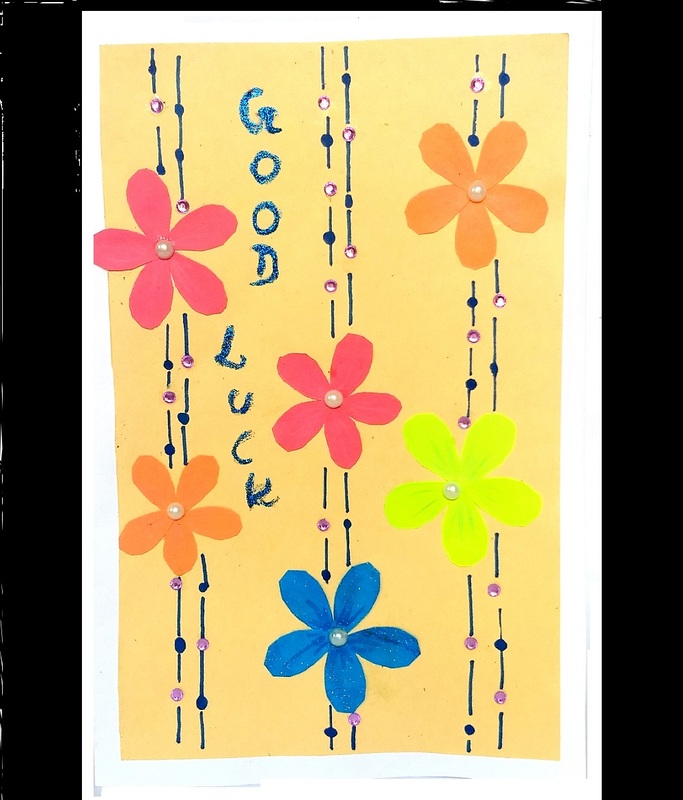 About Product : How about wishing your loved ones going for the first board exams with a Good luck Exam Kit. 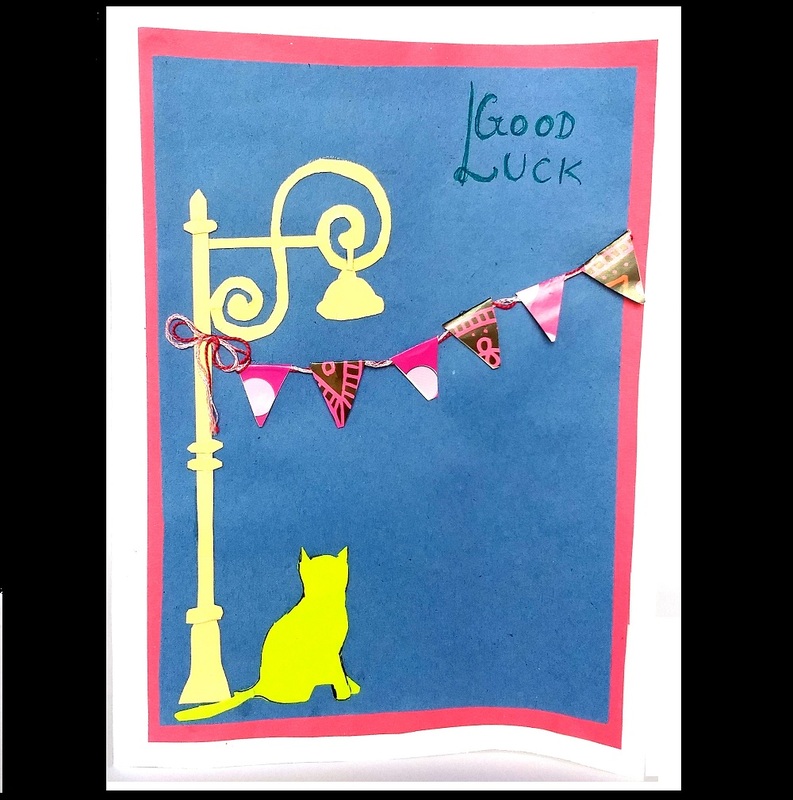 Thoughtfully assorted with a handmade retro card which is sure to boost the confidence of the receiver. 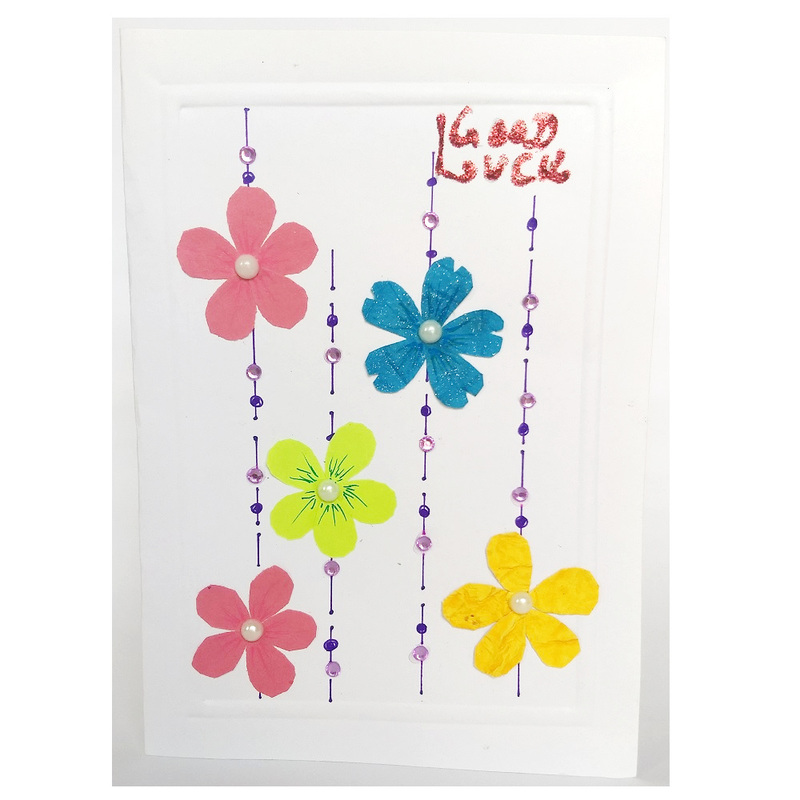 Specially handmade and handwritten card will add great value to your personal touch. Let us know your message and we will write it for you on the card and deliver it. This Kit contains assorted stationary items like : 1 Nos Black Ball Point Pen, 1 Nos. Blue Ball Point Pent, 1 Nos. of Green Highlighter, 1 Nos. of Ruler, 2 Nos. of Graphite lead Pencil, 1 Nos. of Eraser, 1 Nos. of Pencil Sharpener with 1 Nos. 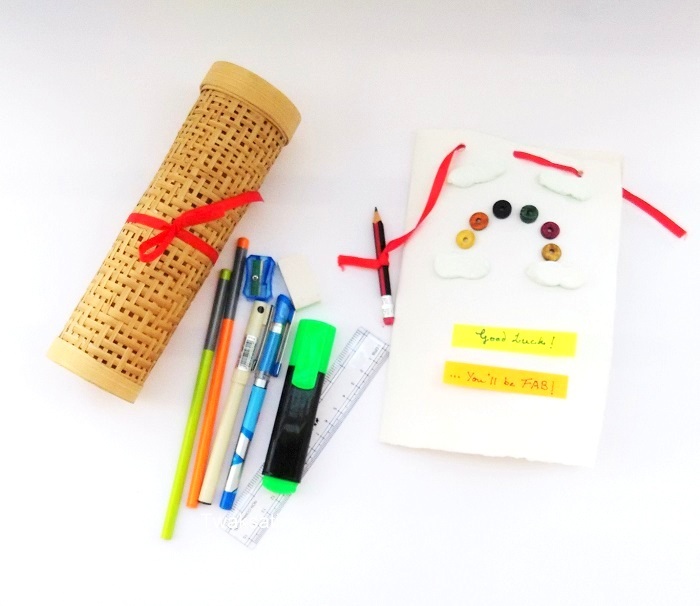 of Handmade Bamboo Pencil Box and 1 Nos. 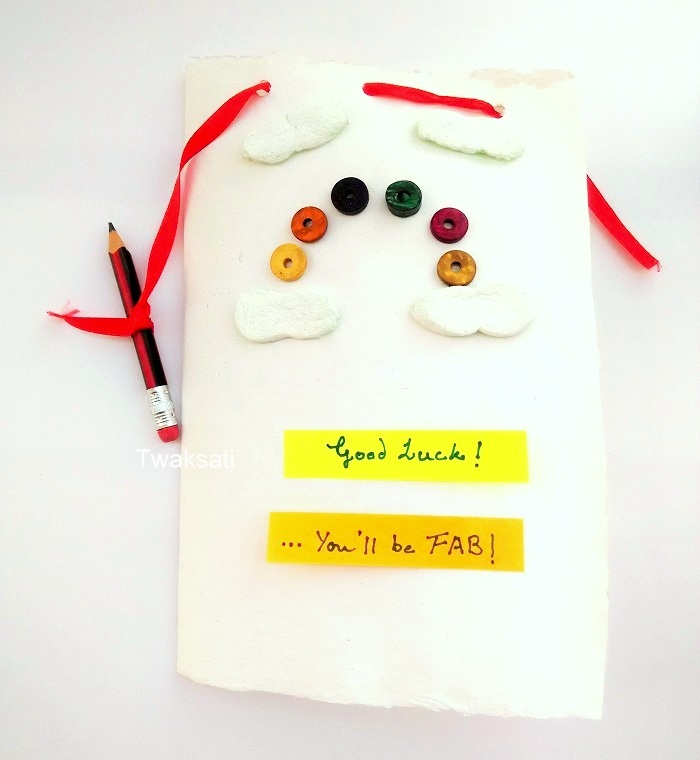 of Handmade Greeting Card made with handmade rag paper, buttons and other accessories. All the items are carefully chosen, beautifully packed for better usage and to create a delight to the receiver! The Story behind the Card: The Card depicts a colorful rainbow among the clouds showing that a bright future awaits the scholar. The Pencil with a ribbon attached to card depicts that the scholar will write its own destiny and has the ability to remove the wrongs. 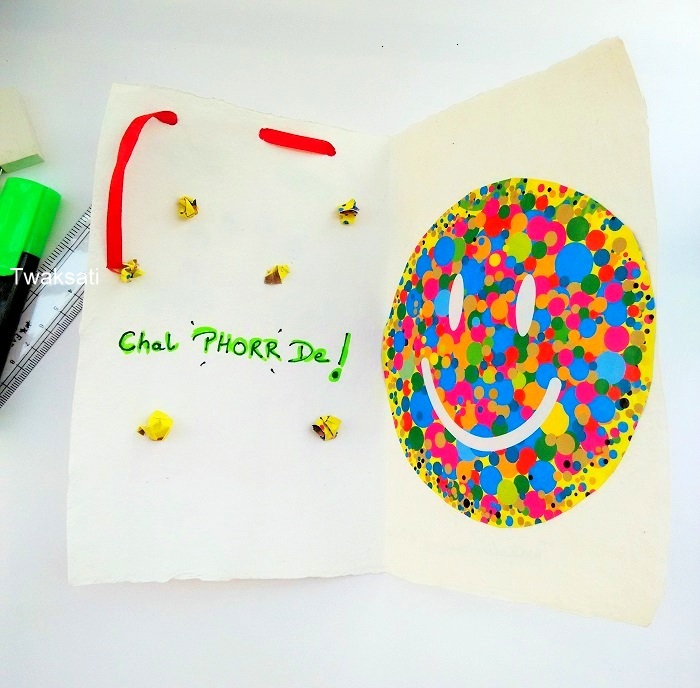 The inside of the Card shows a smiling Sun filled with colourful balloons - Caption: Chal Phorr de! means just go and crack it and emerge a winner! Other Specification: You can add a box of Twaksati Home made chocolate with the Kit .